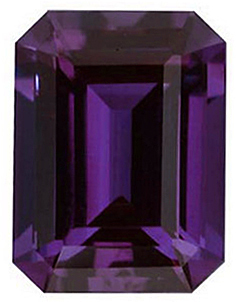 Chatham Alexandrite Emerald Cut in Grade GEM This GEM Grade Chatham Created Alexandrite Displays a Striking Greenish Blue Color in Daylight Changing to a Purplish Red Color in incandescent light of a medium-dark tone. It has been faceted to a very high professional lapidary standard and have a very good make, polish and symmetry. It has a clarity rating of Eye Clean Plus (VS), meaning that it can have very minute inclusions that can only be seen with the aid of a microscope. All Chatham Created gemstones are accompanied by a Letter of Guarantee issued by Chatham that guarantees the gemstone against defects in the manufacturing process for the lifetime of the gemstone. Chatham gemstones have not undergone any treatment process. Undeniably, there is something special about a genuine, natural gemstone that was formed inside the depths of the earth for thousands of years, and that�s why genuine gemstones are valuable and expensive. 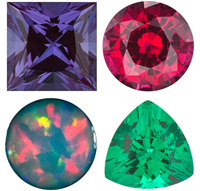 However, to the untrained eye, imitation, synthetic and lab created gemstones can be just as beautiful, if not more beautiful than their natural counterparts. Created in a controlled, manufactured environment, synthetic gemstones are more uniform in color and clarity, and many will not contain any inclusions. 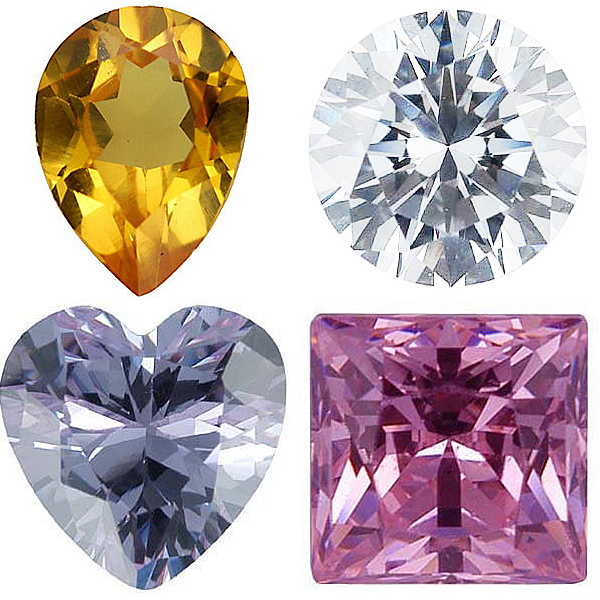 If you love the look of gemstones but don�t want the hefty price tag, non-genuine gemstones are a great alternative. Unlike the imitation gemstones, created Chatham gemstones are identical to natural genuine gemstones in that they share identical chemical, optical and hardness properties. However they are created in a simulated, man made labratory environment instead of being formed naturally and then mined as are genuine gemstones. Chatham gemstones display the incredible saturated colors of the highest quality genuine gemstones and are free of inclusions. They are the best man made gemstones on the market today. 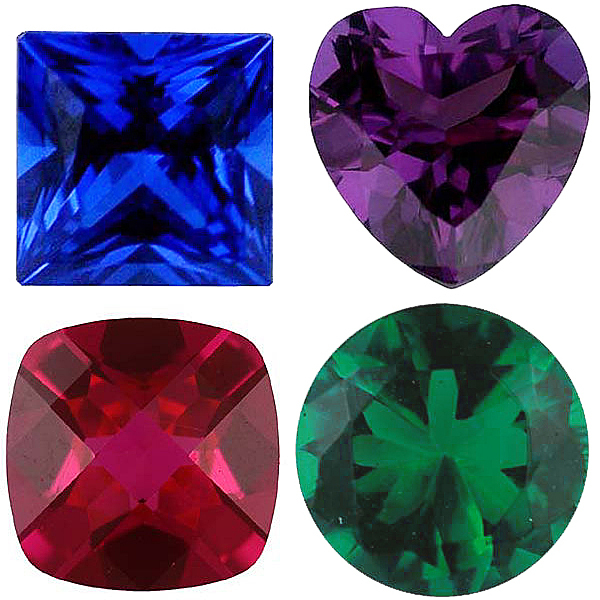 Chatham gems are an amazing alternative to natural gemstones. Moissanite gems, like Chatham gems, are lab created gems that exhibit the same chemical makeup as natural Moissanite. However, when it comes to Moissanite, there is debate to whether it occurs naturally on earth; the original Moissanite samples were found in a meteorite. 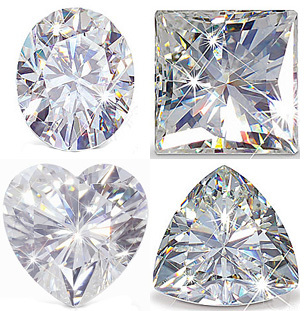 All commercial Moissanite gemstones are synthetic, and they are a brilliant and radiant alternative to diamonds. 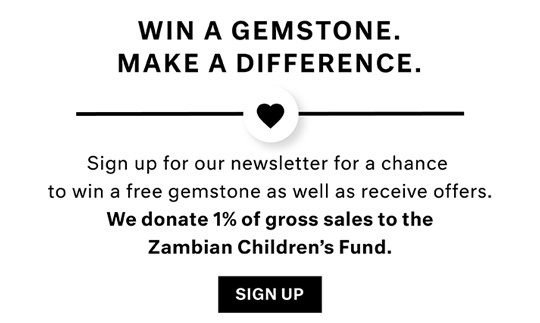 For a younger child just starting to wear jewelry, an imitation gemstone piece is a great beginner�s item for if the child loses or mistreats the gemstone jewelry, there is much less financial loss. An imitation gemstones is a man made creation that does not share the physical or optical properties of genuine gems or simulated gems such as Chatham or Moissanite. 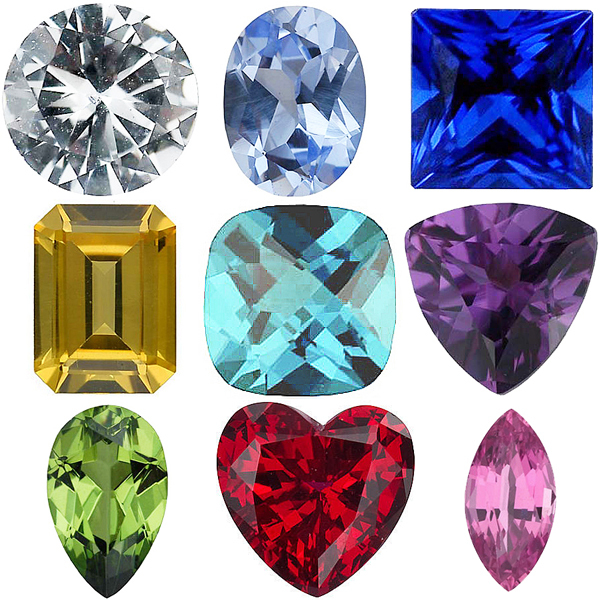 Imitation gems are simply dyed substances such as glass that is made to look like the gemstone. AfricaGems extensive selection of Imitation colored gemstones features all of the birthstone gems, among other, so that you can create personal, meaningful and affordable custom jewelry.